Much of the talk about social media and job searches is focused on what not to do. In our previous post , we talked about the role of social media in the hiring process. Bosses and HR departments will often check a candidate’s social media feeds to judge more than your minor indiscretions. It’s important to remember your grammar, industry knowledge and use of profanity are on display, too. What we didn’t touch on much in the first article is that you can actually use social media to your advantage. We did some research on several reputable sites to find solid advice on how you can use your social media accounts as part of your overall body of work as you apply for new positions. When you become serious enough about your job search that you’re concerned about what your social media accounts say about you, it’s time to view your accounts as the primary representation of your brand. By “brand”, we mean an intentional and uniform expression of what you want potential employers to know about you. Forbes contributor Jerry McLaughlin did well to conjure up the old definition of “brand”: a hot iron used to mark cattle back in the Old West. Painful? Yes, but his point was that a rancher’s brand was specific to him or her and identified every cow under his or her purvey. Your social media accounts should bear your brand – a unique identifier true to who you are and what you do. In a seminal work on social media and job searches, The Muse’s Erin Greenawald laid out 45 specific ways of using social media in your favor during a job hunt. In our opinion, LinkedIn and Facebook are the most crucial accounts. LinkedIn connects you with professionals and provides a way for employers to view your work history and other experience without having to ask for a resume or contact you. Facebook provides the personal element – photos of your everyday life, an insight into your opinions and, as Greenawald pointed out, an aspect of humanness. Don’t run away just yet – the word “optimize” isn’t as an intimidating as it sounds. To optimize your LinkedIn account means you want to make sure it’s up-to-date and contains the right words that will help your profile show up when recruiters or potential employers search for candidates. Part of this mission to be found by employers is to include a great heading and specific keywords in your profile, she wrote. “Keywords” describe certain words that employers look for or want in the profiles for which they’re searching. Including the specific names of software or apps you know well helps, as do the names of companies and certifications specific to your experience. In addition to infusing keywords, Lily Zhang, another Muse writer, pointed out that adding as many people as you can may also give you an advantage in employers’ searches. This advice, she said, is something Inc.’s Larry Kim posited in a previous article. “While this isn’t something that will work for everyone (for example, I try to only stick with contacts I’ve had at least one meaningful conversation with because I use LinkedIn more as a way to keep track of professional acquaintances than a job search tool), it may make sense for you to be a bit more liberal in adding contacts in order to raise your profile in search results,” Zhang wrote. Your resume tells your employer where you’ve worked and how well-equipped you are to handle the position they’re looking to fill. 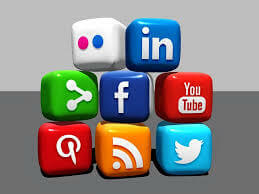 Your social media accounts act as a second source of information for your employers. Everything you post is subject to the same amount of scrutiny your resume receives. Make sure you’re wise about what you post, how you post it and which accounts you decide to open. A good start is to maintain a Facebook account (which you’re probably already doing) and a LinkedIn account that is free of grammatical errors, has a good headline and includes up-to-date information about your previous employment and your skills and/or certifications.